Taro fields in Hanalei, Hawaii. Photo: NPS files. Cultural landscapes can range from thousands of acres of rural tracts of land to a small homestead with a front yard of less than one acre. Like historic buildings and districts, these special places reveal aspects of our country's origins and development through their form and features and the ways they were used. Cultural landscapes also reveal much about our evolving relationship withthe natural world. 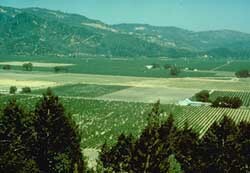 Patterns on the land have been preserved through the continuation of traditional uses, such as the grape fields at the Sterling Vineyards in Calistoga, California. Photo: NPS files. A cultural landscape is defined as "a geographic area,including both cultural and natural resources and the wildlife or domestic animals therein, associated with a historic event, activity, or person or exhibiting other cultural or aesthetic values." There are four general types of cultural landscapes, not mutually exclusive: historic sites, historic designed landscapes, historic vernacular landscapes, and ethnographic landscapes. These are defined below. Historic landscapes include residential gardens and community parks, scenic highways, rural communities, institutional grounds, cemeteries, battlefields and zoological gardens. They are composed of a number of character-defining features which, individually or collectively contribute to the landscape's physical appearance as they have evolved over time. In addition to vegetation and topography, cultural landscapes may include water features, such as ponds, streams, and fountains; circulation features, such as roads, paths, steps, and walls; buildings; and furnishings, including fences, benches, lights and sculptural objects. Most historic properties have a cultural landscape component that is integral to the significance of the resource. Imagine a residential district without sidewalks, lawns and trees or a plantation with buildings but no adjacent lands. A historic property consistsof all its cultural resources—landscapes, buildings, archeological sites and collections. In some cultural landscapes, there may be a total absence of buildings. This Preservation Brief provides preservation professionals, cultural resource managers, and historic property owners a step-by-step process for preserving historic designed and vernacular landscapes, two types of cultural landscapes. While this process is ideally applied to an entire landscape, it can address a single feature, such as a perennial garden, family burial plot, or a sentinel oak in an open meadow. This Brief provides a framework and guidance for undertaking projects to ensure a successful balance between historic preservation and change. Historic Designed Landscape—a landscape that was consciously designed or laid out by a landscape architect, master gardener, architect, or horticulturist according to design principles,or an amateur gardener working in a recognized style or tradition. The landscape may be associated with a significant person(s), trend, or event in landscape architecture; or illustrate an important development in the theory and practice of landscape architecture. Aesthetic values play a significant role in designed landscapes. Examples include parks, campuses, and estates. Historic Vernacular Landscape—a landscape that evolved through use by the people whose activities or occupancy shaped that landscape. Through social or cultural attitudes ofan individual, family or a community, the landscape reflects the physical, biological, and cultural character of those everyday lives. Function plays a significant role in vernacular landscapes. They can be a single property such as a farm or a collection of properties such as a district of historic farms along a river valley. Examples include rural villages, industrial complexes, and agricultural landscapes. Historic Site—a landscape significant for its association with a historic event, activity, or person. Examples include battlefields and president's house properties. Ethnographic Landscape—a landscape containing a variety of natural and cultural resources that associated people define as heritage resources. Examples are contemporary settlements, religious sacred sites and massive geological structures. Small plant communities, animals, subsistence and ceremonial grounds are often components. 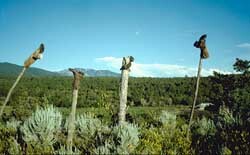 The "Boot Fence," near D.H. Lawrence Ranch, Questa, New Mexico, is an example of a character-defining landscape feature. Photo: Courtesy, Cheryl Wagner. Nearly all designed and vernacular landscapes evolve from, or are often dependent on, natural resources. It is these interconnected systems of land, air and water, vegetation and wildlife which have dynamic qualities that differentiate cultural landscapes from other cultural resources, such as historic structures. Thus, their documentation, treatment, and ongoing management require a comprehensive, multi-disciplinary approach. Another example of a very different landscape feature is this tree planting detail for Jefferson Memorial Park, St. Louis, Missouri. Photo: Courtesy, Dan Kiley. Today, those involved in preservation planning and management of cultural landscapes represent a broad array of academic backgrounds,training, and related project experience. Professionals may have expertise in landscape architecture, history, landscape archeology, forestry, agriculture, horticulture, pomology, pollen analysis, planning, architecture, engineering (civil, structural, mechanical, traffic), cultural geography, wildlife, ecology, ethnography, interpretation, material and object conservation, landscape maintenanceand management. Historians and historic preservation professionals can bring expertise in the history of the landscape, architecture, art, industry, agriculture, society and other subjects. Landscape preservation teams, including on-site management teams and independent consultants, are often directed by a landscape architect with specific expertise in landscape preservation. It is highly recommended that disciplines relevant to the landscapes' inherent features be represented as well. Additional guidance may be obtained from State Historic Preservation Offices, local preservation commissions, the National Park Service, local and state park agencies, national and state chapters ofthe American Society of Landscape Architects, the Alliance for Historic Landscape Preservation, the National Association of Olmsted Parks, and the Catalog of Landscape Records in the United States at Wave Hill, among others. A range of issues may need to be addressed when considering how a particular cultural landscape should be treated. This may include the in-kind replacement of declining vegetation, reproduction of furnishings, rehabilitation of structures, accessibility provisions for people with disabilities, or the treatment of industrial properties that are rehabilitated for new uses. Careful planning prior to undertaking work can help prevent irrevocable damage to a cultural landscape. Professional techniques for identifying, documenting, evaluating and preserving cultural landscapes have advanced during the past 25 years and are continually being refined. Preservation planning generally involves the following steps: historical research; inventory and documentation of existing conditions; site analysis and evaluation of integrity and significance; development of a cultural landscape preservation approach and treatment plan; development of a cultural landscape management plan and management philosophy; the development of a strategy for ongoing maintenance; and preparation of a record of treatment and future research recommendations. The steps in this process are not independent of each other, nor are they always sequential. In fact, information gathered in one step may lead to a re-examination or refinement of previous steps. For example, field inventory and historical research are likely to occur simultaneously, and may reveal unnoticed cultural resources that should be protected. The treatment and management of cultural landscape should also be considered in concert with the management of an entire historic property. As a result, many other studies may be relevant. They include management plans, interpretive plans, exhibit design, historic structures reports, and other. These steps can result in several products including a Cultural Landscape Report (also known as a Historic Landscape Report), statements for management, interpretive guide, maintenance guideand maintenance records. A Cultural Landscape Report (CLR) is the primary report that documents the history, significance and treatment of a cultural landscape. A CLR evaluates the history and integrity of the landscape including any changes to its geographical context, features, materials,and use. CLRs are often prepared when a change (e.g. a new visitor's center or parking area to a landscape) is proposed. In such instances, a CLR can be a useful tool to protect the landscape's character-defining features from undue wear, alteration or loss. A CLR can provide managers, curators and others with information needed to make management decisions. A CLR will often yield new information about a landscape's historic significance and integrity, even for those already listed on theNational Register. Where appropriate, National Register files should be amended to reflect the new findings. Research is essential before undertaking any treatment. Findings will help identify a landscape's historic period(s) of ownership, occupancy and development, and bring greater understanding of the associations and characteristics that make the landscape or history significant. Research findings provide a foundation to make educated decisions for work, and can also facilitate ongoing maintenance and management operations, interpretation and eventual compliance requirements. A variety of primary and secondary sources may be consulted. Primary archival sources can include historic plans, surveys, plats, tax maps, atlases, U. S. Geological Survey maps, soil profiles, aerial photographs, photographs, stereoscopic views, glass lantern slides, postcards, engravings, paintings, newspapers, journals, construction drawings, specifications, plant lists, nursery catalogs, household records, account books and personal correspondence. Secondary sources include monographs, published histories, theses, National Register forms, survey data, local preservation plans, state contexts and scholarly articles. Contemporary documentary resources should also be consulted. This may include recent studies, plans, surveys, aerial and infrared photographs, Soil Conservation Service soil maps, inventories, investigations and interviews. Oral histories of residents, managers,and maintenance personnel with a long tenure or historical association can be valuable sources of information about changes to a landscape over many years. For properties listed in the National Register, nomination forms should be consulted. 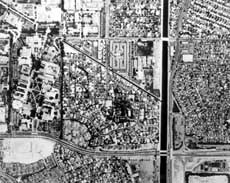 In the case of designed landscapes, even though a historic design plan exists, it does not necessarily mean that it was realized fully, or even in part. Based on a review of the archival resources outlined above, and the extant landscape today, an as-built period plan may be delineated. For all successive tenures of ownership, occupancy and landscape change, period plans should be generated. Period plans can document to the greatest extent possible the historic appearance during a particular period of ownership, occupancy, or development. Period plans should be based on primary archival sources and should avoid conjecture. Features that are based on secondary or less accurate sources should be graphically differentiated. Ideally, all referenced archival sources should be annotated and footnoted directly on period plans. Where historical data is missing, period plans should reflect any gaps in the CLR narrative text and these limitations consideredin future treatment decisions. Both physical evidence in the landscape and historic documentation guide the historic preservation plan and treatments. To document existing conditions, intensive field investigation and reconnaissance should be conducted at the same time that documentary researchis being gathered. Information should be exchanged among preservation professionals, historians, technicians, local residents, managers and visitors. Understanding the geographic context should be part of the inventory process. 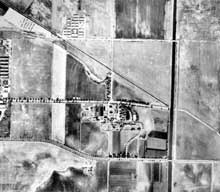 This aerial photograph at Rancho Los Alamitos, Long Beach, CA, was taken in 1936. (See, below.) Photo: Rancho Los Alamitos Foundation. To assist in the survey process, National Register Bulletins have been published by the National Park Service to aid in identifying,nominating and evaluating designed and rural historic landscapes. Additionally, Bulletins are available for specific landscape types such as battlefields, mining sites, and cemeteries. Although there are several ways to inventory and document a landscape,the goal is to create a baseline from a detailed record of the landscape and its features as they exist at the present (considering seasonal variations). Each landscape inventory should address issues of boundary delineation, documentation methodologies and techniques, the limitations of the inventory, and the scope of inventory efforts. This present-day view of Rancho Los Alamitos shows present-day encroachments and adjacent developments that will affect the future treatment of visual and spatial relationships. Photo: Rancho Los Alamitos Foundation. These are most often influenced by the timetable, budget, project scope, and the purpose of the inventory and, depending on the physical qualities of the property, its scale, detail, and the inter-relationship between natural and cultural resources. For example, inventory objectives to develop a treatment plan may differ considerably compared to those needed to develop an ongoing maintenance plan. Once the criteria for a landscape inventory are developed and tested, the methodology should be explained. Inventory and documentation may be recorded in plans, sections, photographs, aerial photographs, axonometric perspectives, narratives, video-or any combination of techniques. Existing conditions should generally be documented to scale, drawn by hand or generated by computer. The scale of the drawings is often determined by the size and complexity of the landscape. Some landscapes may require documentation at more than one scale. For example, a large estate may be documented at a small scale to depict its spatial and visual relationships, while the discrete area around an estate mansionmay require a larger scale to illustrate individual plant materials, pavement patterns and other details. The same may apply to an entire rural historic district and a fenced vegetable garden contained within. When landscapes are documented in photographs, registration points can be set to indicate the precise location and orientation of features. Registration points should correspond to significant forms, features and spatial relationships within the landscape and its surrounds. The points may also correspond to historic views to illustrate the change in the landscape todate. These locations may also be used as a management tool todocument the landscape's evolution, and to ensure that its character-defining features are preserved over time through informed maintenance operations and later treatment and management decisions. All features that contribute to the landscape's historic character should be recorded. These include the physical features described above (e.g. topography, circulation), and the visual and spatial relationships that are character defining. The identification of existing plants, should be specific, including genus, species, common name, age (if known) and size. The woody, and if appropriate, herbaceous plant material should be accurately located on the existing conditions map. To ensure full representation of successional herbaceous plants, care should be taken to document the landscape in different seasons, if possible. Treating living plant materials as a curatorial collection has also been undertaken at some cultural landscapes. This process, either done manually or by computer, can track the condition and maintenance operations on individual plants. Some sites, suchas the Frederick Law Olmsted National Historic Site, in Brookline, Massachusetts have developed a field investigation numbering system to track all woody plants. Due to concern for the preservation of genetic diversity and the need to replace significant plant materials, a number of properties are beginning to propagate historically important rare plants that are no longer commercially available, unique, or possess significant historic associations. Such herbarium collections become a part of a site's natural history collection. Once the research and the documentation of existing conditions have been completed, a foundation is in place to analyze the landscape's continuity and change, determine its significance, assess its integrity, and place it within the historic context of similar landscapes. A noted geographer, Pierce Lewis, stated, "The attempt to derive meaning from landscapes possesses overwhelming virtue. It keeps us constantly alert to the world around us, demanding that we pay attention not just to some of the things around us but to all of them—the whole visible world in all of its rich, glorious, messy, confusing, ugly, and beautiful complexity." Landscapes can be read on many levels—landscape as nature, habitat, artifact, system, problem, wealth, ideology, history, place and aesthetic. When developing a strategy to document a cultural landscape, it is important to attempt to read the landscape in its context of place and time. Reading the landscape, like engaging in archival research, requires a knowledge of the resource and subject area as well as a willingness to be skeptical. As with archival research, it may involve serendipitous discoveries. Evidence gained from reading the landscape may confirm or contradict other findings and may encourage the observer and the historian to re-visit both primary and secondary sources with a fresh outlook. Landscape investigation may also stimulate other forms of research and survey, such as oral histories or archeological investigations, to supplement what appeared on-site. There are many ways to read a landscape-whatever approach is taken should provide a broad overview. This may be achieved by combining on-the-ground observations with a bird's-eye perspective. To begin this process, aerial photographs should be reviewed to gain an orientation to the landscape and its setting. Aerial photographs come in different sizes and scales, and can thus portray different levels of detail in the landscape. Aerial photographs taken at a high altitude, for example, may help to reveal remnant field patterns or traces of an abandoned circulation system; or, portions of axial relationships that were part of the original design, since obscured by encroaching woodland areas. 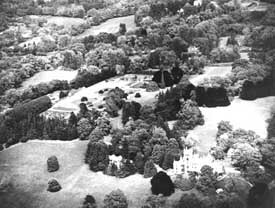 Low altitude aerial photographs can point out individual features such as the arrangement of shrub and herbaceous borders, and the exact locations of furnishings, lighting, and fence alignments. This knowledge can prove beneficial before an on-site visit. Aerial photographs provide clues that can help orient the viewer to the landscape. The next step may be to view the landscape from a high point such as a knoll or an upper floor window. Such a vantage point may provide an excellent transition before physically entering the cultural landscape. On ground, evidence should then be studied, including character-defining features, visual and spatial relationships. By reviewing supporting materials from historic research, individual features can be understood in a systematic fashion that show the continuum that exists on the ground today. By classifying these features and relationships, the landscape can be understood as an artifact, possessing evidence of evolving natural systems and human interventions over time. For example, the on-site investigation of an abandoned turn-of-the-century farm complex reveals the remnant of a native oak and pine forest which was cut and burned in the mid-nineteenth century. This previous use is confirmed by a small stand of mature oaks and the presence of these plants in the emerging secondary woodland growth that is overtaking this farm complex in decline. 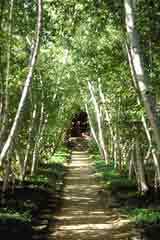 A ring count of the trees can establish a more accurate age. By reading other character-defining features, such as the traces of old roads, remnant hedgerows, ornamental trees along boundary roads, foundation plantings, the terracing of grades and remnant fences—the visual, spatial and contextual relationships of the property as it existed a century ago may be understood and its present condition and integrity evaluated. The findings of on-site reconnaissance, such as materials uncovered during archival research, may be considered primary data. These findings make it possible to inventory and evaluate the landscape's features in the context of the property's current condition. Character-defining features are located in situ, in relationship to each other and the greater cultural and geographic contexts. Within cultural landscapes, plants may have historical or botanical significance. A plant may have been associated with a historic figure or event or be part of a notable landscape design. A plant may be an uncommon cultivar, exceptional in size, age, rare and commercially/unavailable. If such plants are lost, there would be a loss of historic integrity and biological diversity of the cultural landscape. To ensure that significant plants are preserved, an inventory of historic plants is being conducted at the North Atlantic Region of the National Park Service. Historical landscape architects work with landscape managers and historians to gather oral and documented history on the plant's origin and potential significance. Each plant is then examined in the field by an expert horticulturist who records its name, condition, age, size, distribution, and any notable botanic characteristics. Plants that are difficult to identify or are of potential historical significance are further examined in the laboratory by a plant taxonomist who compares leaf, fruit, and flower characteristics with herbarium specimens for named species, cultivars and varieties. For plants species with many cultivars, such as apples, roses, and grapes, specimens may be sent to specialists for identification. If a plant cannot be identified, is dying or in decline, and unavailable from commercial nurseries, it may be propagated. Propagation ensures that when rare and significant plants decline, they can be replaced with genetically-identical plants. Cuttings are propagated and grown to replacement size in a North Atlantic Region Historic Plant Nursery. By analyzing the landscape, its change over time can be understood. This may be accomplished by overlaying the various period plans with the existing conditions plan. Based on these findings, individual features may be attributed to the particular period when they were introduced, and the various periods when they were present. It is during this step that the historic significance of the landscape component of a historic property and its integrity are determined. Historic significance is the recognized importance a property displays when it has been evaluated, including when it has been found to meet National Register Criteria. A landscape may have several areas of historical significance. An understanding of the landscape as a continuum through history is critical in assessing its cultural and historic value. In order for the landscape to have integrity, these character-defining features or qualities that contribute to its significance must be present. The landscape of Lyndhurst, Tarrytown, New York, is significant in American culture and work of a master gardener, Ferdinand Mangold. Photo: National Trust for Historic Preservation. While National Register nominations document the significance and integrity of historic properties, in general, they may not acknowledge the significance of the landscape's design or historic land uses, and may not contain an inventory of landscape features or characteristics. Additional research is often necessary to provide the detailed information about a landscape's evolution and significance useful in making decision for the treatment and maintenance of a historic landscape. Existing National Register forms may be amended to recognize additional areas of significance and to include more complete descriptions of historic properties that have significant land areas and landscape features. Integrity is a property's historic identity evidenced by the survival of physical characteristics from the property's historic or pre-historic period. The seven qualities of integrity are location, setting, feeling, association, design, workmanship and materials. When evaluating these qualities, care should be taken to consider change itself. For example, when a second-generation woodland overtakes an open pasture in a battlefield landscape, or a woodland edge encloses a scenic vista. For situations such as these, the reversibility and/or compatibility of those features should be considered, both individually, and in the context of the overall landscape. Together, evaluations of significance and integrity, when combined with historic research, documentation of existing conditions, and analysis findings, influence later treatment and interpretation decisions. Treatment may be defined as work carried out to achieve a historic preservation goal—it cannot be considered in a vacuum. 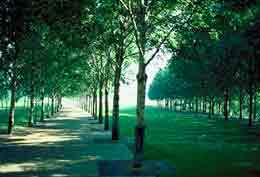 There are many practical and philosophical factors that may influence the selection of a treatment for a landscape. These include the relative historic value of the property, the level of historic documentation, existing physical conditions, its historic significance and integrity, historic and proposed use (e.g. educational, interpretive, passive, active public, institutional or private), long-and short-term objectives, operational and code requirements (e.g. accessibility, fire, security) and costs for anticipated capital improvement, staffing and maintenance. The value of any significant archeological and natural resources should also be considered in the decision-making process. Therefore, a cultural landscape's preservation plan and the treatment selected will consider a broad array of dynamic and inter-related considerations. It will often take the form of a plan with detailed guidelines or specifications. Adopting such a plan, in concert with a preservation maintenance plan, acknowledges a cultural landscape's ever-changing existence and the inter-relationship of treatment and ongoing maintenance. Performance standards, scheduling and record keeping of maintenance activities on a day-to-day or month-to-month basis, may then be planned for. Treatment, management, and maintenance proposals can be developed by a broad range of professionals and with expertise in such fields as landscape preservation, horticulture, ecology, and landscape maintenance. 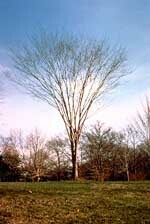 When the American Elm was plagued with Dutch Elm Disease, many historic properties relied on the Japanese Zelkova as a substitute plant (see below). Photo: NPS files. The selection of a primary treatment for the landscape, utilizing The Secretary of the Interior's Standards for the Treatment of Historic Properties , establishes an overall historic preservation approach, as well as a philosophical framework from which to operate. Selecting a treatment is based on many factors. They include management and interpretation objectives for the property as a whole, the period(s) of significance, integrity, and condition of individual landscape features. For all treatments, the landscape's existing conditions and its ability to convey historic significance should be carefully considered. For example, the life work, design philosophy and extant legacy of an individual designer should all be understood for a designed landscape, such as an estate, prior to treatment selection. For a vernacular landscape, such as a battlefield containing a largely intact mid-nineteenth century family farm, the uniqueness of that agrarian complex within a local, regional, state, and national context should be considered in selecting a treatment. The overall historic preservation approach and treatment approach can ensure the proper retention, care, and repair of landscapes and their inherent features. In short, the Standards act as a preservation and management tool for cultural landscapes. The four potential treatments are described. Preservation is defined as the act or process of applying measures necessary to sustain the existing form, integrity, and materials of an historic property. Work, including preliminary measures to protect and stabilize the property, generally focuses upon the ongoing maintenance and repair of historic materials and features rather than extensive replacement and new construction. New additions are not within the scope of this treatment; however, the limited and sensitive upgrading of mechanical, electrical and plumbing systems and other code-required work to make properties functional is appropriate within a preservation project. Rehabilitation is defined as the act or process of making possible a compatible use for a property through repair, alterations,and additions while preserving those portions or features which convey its historical or cultural values. Restoration is defined as the act or process of accurately depicting the form, features, and character of a property as it appeared at a particular period of time by means of the removal of features from other periods in its history and reconstruction of missing features from the restoration period. The limited and sensitive upgrading of mechanical, electrical and plumbing systems and other code-required work to make properties functional is appropriate within a restoration project. Compared to the American Elm (above right), it is readily apparent that the form and scale of this tree is really quite different, and would be an inappropriate substitute plant material within a restoration or reconstruction project. Photo: NPS files. Landscape treatments can range from simple, inexpensive preservation actions, to complex major restoration or reconstruction projects. The progressive framework is inverse in proportion to the retention of historic features and materials. Generally, preservation involves the least change, and is the most respectful of historic materials. It maintains the form and material of the existing landscape. Rehabilitation usually accommodates contemporary alterations or additions without altering significant historic features or materials, with successful projects involving minor to major change. Restoration or reconstruction attempts to recapture the appearance of a property,or an individual feature at a particular point in time, as confirmed by detailed historic documentation. These last two treatments most often require the greatest degree of intervention and thus,the highest level of documentation. In all cases, treatment should be executed at the appropriate level, reflecting the condition of the landscape, with repair work identifiable upon close inspection and/or indicated in supplemental interpretative information. When repairing or replacing a feature, every effort should be made to achieve visual and physical compatibility. Historic materials should be matched in design, scale, color and texture. A landscape with a high level of integrity and authenticity may suggest preservation as the primary treatment. Such a treatment may emphasize protection, stabilization, cyclical maintenance,and repair of character-defining landscape features. Changes over time that are part of the landscape's continuum and are significant in their own right may be retained, while changes that are not significant, yet do not encroach upon or erode character may also be maintained. Preservation entails the essential operations to safeguard existing resources. The historic birch allee at Stan Hywet Hall, Akron, Ohio, which had suffered from borer infestation and leaf miner, was preserved through a series of carefully executed steps that took 15 years to realize. Photo: Child Associates. Rehabilitation is often selected in response to a contemporary use or need—ideally such an approach is compatible with the landscape's historic character and historic use. Rehabilitation may preserve existing fabric along with introducing some compatible changes, new additions and alterations. Rehabilitation may be desirable at a private residence in a historic district where the homeowner's goal is to develop an appropriate landscape treatment for a front yard, or in a public park where a support area is needed for its maintenance operations. When the most important goal is to portray a landscape at an exact period of time, restoration is selected as the primary treatment. Unlike preservation and rehabilitation, interpreting the landscape's continuum or evolution is not the objective. Restoration may include the removal of features from other periods and/or the construction of missing or lost features and materials from the reconstruction period. In all cases, treatment should be substantiated by the historic research findings and existing conditions documentation. Restoration and re-construction treatment work should avoid the creation of a landscape whose features did not exist historically. For example, if features from an earlier period did not co-exist with extant features from a later period that are being retained, their restoration would not be appropriate. In rare cases, when evidence is sufficient to avoid conjecture, and no other property exists that can adequately explain a certain period of history, reconstruction may be utilized to depict a vanished landscape. The accuracy of this work is critical. In cases where topography and the sub-surface of soil have not been disturbed, research and existing conditions findings may be confirmed by thorough archeological investigations. Here too, those features that are intact should be repaired as necessary, retaining the original historic features to the greatest extent possible. The greatest danger in reconstruction is creating a false picture of history. False historicism in every treatment should be avoided. This applies to individual features as well as the entire landscape. Examples of inappropriate work include the introduction of historic-looking benches that are actually a new design, a fanciful gazebo placed in what was once an open meadow, executing an unrealized historic design, or designing a historic-looking landscape for a relocated historic structure within "restoration." Landscape interpretation is the process of providing the visitor with tools to experience the landscape as it existed during its period of significance, or as it evolved to its present state. These tools may vary widely, from a focus on existing features to the addition of interpretive elements. These could include exhibits, self-guided brochures, or a new representation of a lost feature. The nature of the cultural landscape, especially its level of significance, integrity, and the type of visitation anticipated may frame the interpretive approach. Landscape interpretation may be closely linked to the integrity and condition of the landscape, and therefore, its ability to convey the historic character and character-defining features of the past. If a landscape has high integrity, the interpretive approach may be to direct visitors to surviving historic features without introducing obtrusive interpretive devices, such as free-standing signs. For landscapes with a diminished integrity, where limited or no fabric remains, the interpretive emphasis may be on using extant features and visual aids (e.g., markers, photographs, etc.) to help visitors visualize the resourceas it existed in the past. The primary goal in these situations is to educate the visitor about the landscape's historic themes, associations and lost character-defining features or broader historical, social and physical landscape contexts. Throughout the preservation planning process, it is important to ensure that existing landscape features are retained. Preservation maintenance is the practice of monitoring and controlling change in the landscape to ensure that its historic integrity is not altered and features are not lost. This is particularly important during the research and long-term treatment planning process. To be effective, the maintenance program must have a guiding philosophy, approach or strategy; an understanding of preservation maintenance techniques; and a system for documenting changes in the landscape. 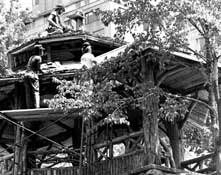 Central Park has developed an in-house historic preservation crew to undertake small projects. A specialized crew has been trained to repair and rebuild rustic furnishings. Photo: Central Park Conservancy. The philosophical approach to maintenance should coincide with the landscape's current stage in the preservation planning process. A Cultural Landscape Report and Treatment Plan can take several years to complete, yet during this time managers and property owners will likely need to address immediate issues related to the decline, wear, decay, or damage of landscape features. Therefore, initial maintenance operations may focus on the stabilization and protection of all landscape features to provide temporary, often emergency measures to prevent deterioration, failure, or loss, without altering the site's existing character. After a Treatment Plan is implemented, the approach to preservation maintenance may be modified to reflect the objectives defined by this plan. The detailed specifications prepared in the Treatment Plan relating to the retention, repair, removal, or replacement of features in the landscape should guide and inform a comprehensive preservation maintenance program. This would include schedules for monitoring and routine maintenance, appropriate preservation maintenance procedures, as well as ongoing record keeping of work performed. For vegetation, the preservation maintenance program would also include thresholds for growth or change in character, appropriate pruning methods, propagation and replacement procedures. To facilitate operations, a property may be divided into discrete management zones. These zones are sometimes defined during the Cultural Landscape Report process and are typically based on historically defined areas. Alternatively, zones created for maintenance practices and priorities could be used. Examples of maintenance zones would include woodlands, lawns, meadow, specimen trees, and hedges. Training of maintenance staff in preservation maintenance skills is essential. Preservation maintenance practices differ from standard maintenance practices because of the focus on perpetuating the historic character or use of the landscape rather than beautification. For example, introducing new varieties of turf, roses or trees is likely to be inappropriate. Substantial earth moving (or movement of soil) may be inappropriate where there are potential archeological resources. An old hedge or shrub should be rejuvenated, or propagated, rather than removed and replaced. 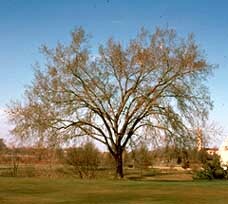 A mature specimen tree may require cabling and careful monitoring to ensure that it is not a threat to visitor safety. Through training programs and with the assistance of preservation maintenance specialists, each property could develop maintenance specifications for the care of landscape features. Because landscapes change through the seasons, specifications for ongoing preservation maintenance should be organized in a calendar format. During each season or month, the calendar can be referenced to determine when, where, and how preservation maintenance is needed. For example, for some trees structural pruning is best done in the late winter while other trees are best pruned in the late summer. Serious pests are monitored at specific times of the year, in certain stages of their life cycle. This detailed calendar will, in turn, identify staff needs and work priorities. Depending on the level of sophistication desired, one approach to documenting maintenance data and recording change over time is to use a computerized geographical or visual information system. Such a system would have the capability to include plans and photographs that would focus on a site's landscape features. If a computer is not available, a manual or notebook can be developed to organize and store important information. This approach allows managers to start at any level of detail and to begin to collect and organize information about landscape features. The value of these maintenance records cannot be overstated. These records will be used in the future by historians to understand how the landscape has evolved with the ongoing care of the maintenance staff. The last and ongoing step in the preservation planning process records the treatment work as carried out. It may include a series of as-built drawings, supporting photographic materials, specifications and a summary assessment. New technologies that have been successfully used should be highlighted. Ideally, this information should be shared with interested national organizations for further dissemination and evaluation. The need for further research or additional activities should also be documented. This may include site-specific or contextual historical research, archeological investigations, pollen analysis, search for rare or unusual plant materials, or, material testing for future applications. Finally, in consultation with a conservator or archivist-to maximize the benefit of project work and to minimize the potential of data loss—all primary documents should be organized and preserved as archival materials. This may include field notes, maps, drawings, photographs, material samples, oral histories and other relevant information. In the past, there was rarely adequate record-keeping to fully understand the ways a landscape was maintained. This creates gaps in our research findings. Today, we recognize that planning for ongoing maintenance and onsite applications should be documented—both routinely and comprehensively. An annual work program or calendar records the frequency of maintenance work on built or natural landscape features. It can also monitor the age, health and vigor of vegetation. For example, onsite assessments may document the presence of weeds, pests, dead leaves, pale color, wilting, soil compaction—all of which signal particular maintenance needs. For built elements, the deterioration of paving or drainage systems may be noted and the need for repair or replacement indicated before hazards develop. An overall maintenance program can assist in routine and cyclic maintenance of the landscape and can also guide long term treatment projects. To help structure a comprehensive maintenance operation that is responsive to staff, budget, and maintenance priorities, the National Park Service has developed two computer-driven programs for its own landscape resources. A Maintenance Management Program (MM)is designed to assist maintenance managers in their efforts toplan, organize, and direct the park maintenance system. An Inventory and Condition Assessment Program (ICAP) is designed to complement MM by providing a system for inventorying, assessing conditions, and for providing corrective work recommendations for all site features. Another approach to documenting maintenance and recording changes over time is to develop a manual or computerized graphic information system. Such a system should have the capability to include plans and photographs that would record a site's living collection of plant materials. (Also see discussion of the use of photography under Preparing Existing Conditions Plans) This may be achieved using a computer-aided drafting program along with an integrated database management system. To guide immediate and ongoing maintenance, a systematic and flexible approach has been developed by the Olmsted Center for Landscape Preservation. Working with National Park Service landscape managers and maintenance specialists, staff assemble information and make recommendations for the care of individual landscape features. Each landscape feature is inspected in the field to document existing conditions and identify field work needed. Recommendations include maintenance procedures that are sensitive to the integrity of the landscape. The planning, treatment, and maintenance of cultural landscapes requires a multi-disciplinary approach. In landscapes, such as parks and playgrounds, battlefields, cemeteries, village greens, and agricultural land preserves more than any other type of historic resource—communities rightly presume a sense of stewardship. It is often this grass roots commitment that has been a catalyst for current research and planning initiatives. Individual residential properties often do not require the same level of public outreach, yet a systematic planning process will assist in making educated treatment, management and maintenance decisions. Wise stewardship protects the character, and or spirit of a place by recognizing history as change over time. Often, this also involves our own respectful changes through treatment. The potential benefits from the preservation of cultural landscapes are enormous. Landscapes provide scenic, economic, ecological, social, recreational and educational opportunities that help us understand ourselves as individuals, communities and as a nation. Their ongoing preservation can yield an improved quality of life for all, and, above all, a sense of place or identity for future generations. The author, Charles A. Birnbaum, Coordinator, Historic Landscape Initiative, Preservation Assistance Division, National Park Service would like to acknowledge the assistance of H. Ward Jandl and Kay Weeks. The Olmsted Center for Landscape Preservation at the Frederick Law Olmsted National Historic Site including Margie Coffin, Lauren Meier, Nora Mitchell, and Charlie Pepper provided invaluable support. In particular, the proposed rewrite on Preservation Maintenance and historic plant materials was written by Margie Coffin. Significant contributions were also made by Patricia M. O'Donnell, Linda McClelland, Ellen Lipsey, Christine Capella Peters, Robert Page, Ian Firth and Robert Melnick. Useful comments and technical assistance were provided by regional NPS staff (Mary Hughes, Lucy Lawliss, Jill Cowley, Sherda Williams, Michael Crowe, Robbyn Jackson) and staff at the Preservation Assistance Division (Cheryl Wagner, Michael Auer and Anne E. Grimmer). Birnbaum, Charles A., guest editor. Preservation Forum. "Focus on Landscape Preservation". Washington, D.C.: National Trustfor Historic Preservation, Volume 7, No. 3, May/June 1992. Buggey Susan, guest editor. APT Bulletin. Special Issue: Conserving Historic Landscapes. Fredericksburg, VA: Association for PreservationTechnology International, Volume XXIV, No. 3-4, 1992. Diehl, Janet and Thomas S. Barrett, et al. The Conservation Easement Handbook. Managing Land Conservation and Historic Preservation Easement Programs , The Land Trust Exchange (now Alliance) and the Trust for Public Land, 1988.
International Committee of Historic Gardens and Sites, ICOMOS-IFLA.Jardins et Sites Historiques, Scientific Journal. ICOMOS1993. Compilation of papers on the subject, in both English andFrench. Kelso, William M., and Rachel Most. Earth Patterns: Essays in Landscape Archaeology. Charlottesville, VA. University Press of Virginia, 1990. Stokes, Samuel, N., et al. Saving America's Countryside: A Guide to Rural Conservation. Baltimore and London: John Hopkins University Press, 1989. Tishler, William, editor. American Landscape Architecture: Designers and Places. Washington, DC: The Preservation Press,1989.